Roughly half of mobile users are unsatisfied with their mobile upload and download speeds. 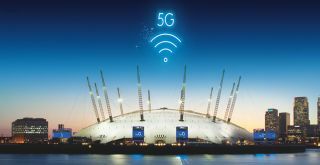 Half of UK mobile users have said they are not satisfied with their mobile upload and download speeds, showcasing the need for faster 5G deployment, new research has found. A study by RootMetrics found that overall, 53 per cent of Brits were satisfied with their mobile internet speed. There were significant differences between users on different networks, however, with Three users the most content (58 per cent), followed by EE (57 per cent) and O2 (51 per cent). Cost and price plays an important role in the entire idea. On one side, setting up 5G means higher infrastructure cost, because unlike 4G and its huge, centralised cellular towers, 5G requires small cell infrastructure placed close to users. However, it may or may not be worth the trouble, because consumers are sending out mixed signals. Almost four in five (79 per cent) said they’d gladly pay more for faster mobile internet. Seventeen per cent of O2 customers said they’d pay ten pounds or more for a better service. However, the report also says that price seems to be one of the major factors when people choose a mobile service carrier. “People say they would pay more for better connectivity and that option is 100 per cent available to them at the time of renewal, but many then make the decision on price alone."